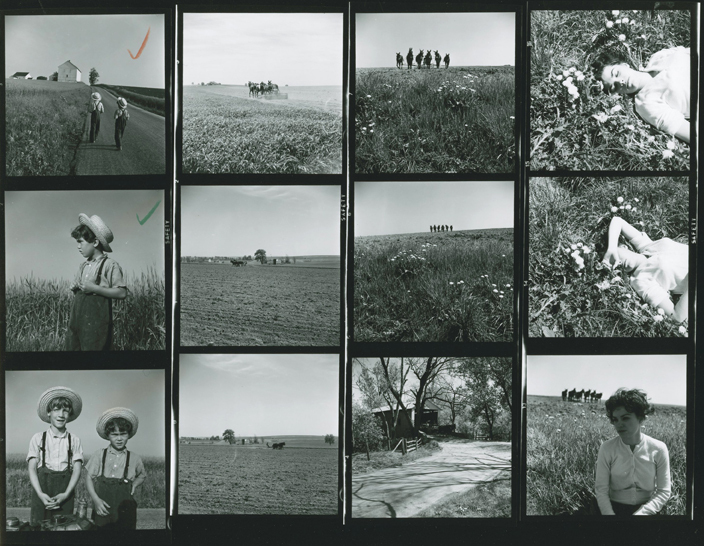 “Within a year after my discharge from the U.S. Navy in 1959; I married, got a job as a home-portrait photographer, joined the Vailsburg camera club, and began independent work on my first book, FIELDS OF PEACE, A Pennsylvania German Album. I continued photographing the Amish and Mennonites and their landscape for another ten years before the book was first published. In the planning stages of publication the Doubleday sales agent felt that the book could not sell in Pennsylvania for more than $10.00, and that is where they suspected was the largest market. I was also told by an editor that if John Updike agreed to write the text it would be a $25.00 book. Updike declined and it was published as a $8.95 hard cover. Millen Brand took on the task and I cannot think of another writer who could have done better. A revised paper back was published a few years later by Dutton, but it was not until 1998 that Godine published an enlarged and expanded edition in Duotone that is now nearly out of print. We printed them on mat uncoated paper in a brownish ink to resemble the look of palladium prints. For that edition I returned to Lancaster and wrote an Afterword. That was in 1990, the last time I visited and photographed. All but a handful were taken in the 1960s. 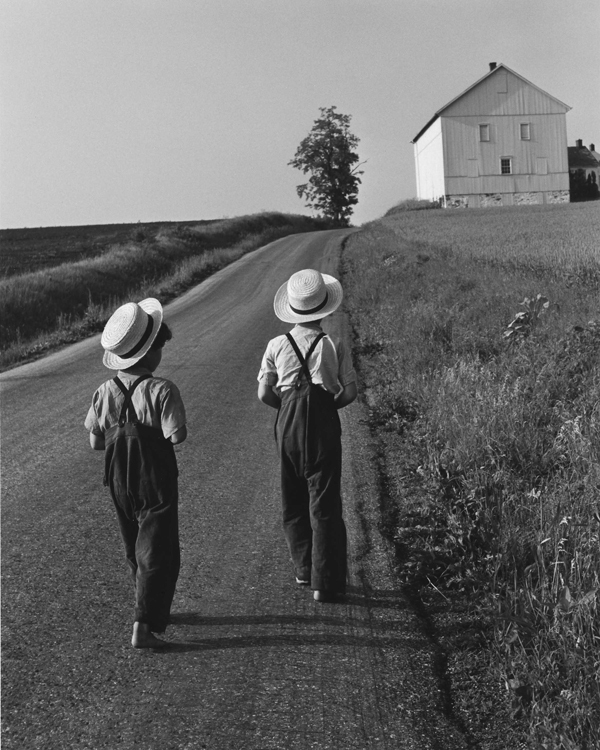 About the TWO AMISH BOYS…it was taken early morning, the sun was still very low to the horizon. I and a companion were walking up the hill at the same time the barefooted Amish boys were coming down. I took a close up photograph of the two of them and a profile of the youngest and asked them if they would walk back up the hill toward the barn so I could try a picture from that angle. And that was that. The first time I printed it I enlarged it to 16×20″ to enter in the monthly black and white print competitions. I made the decision to reverse the negative as might be seen in a mirror. I could say- it read better that way- left to right-it was easier to visually enter the picture-the composition was improved.